The media industry has long been a respectable, challenging but highly rewarding industry for those who are passionate about journalism and eager to explore stories that worth knowing. The HKUAA Public Relations Group is honoured to invite three fellow HKU alumni who each work in a totally different field inside the media industry. Whether as an anchor, a TV producer, or an environmental editor of an online magazine, they all have their own interesting stories and will share more on how they perceive their career in this amazingly exciting industry! Winnie Tsui, currently Chief Anchor / Producer, is the head of the anchor team and supervises finance programmes in the business news channel. Ms Tsui also hosts major financial programs including “Market Today” and “Trading Hours”. Before joining BNC, she was the Principal Anchor in the Television Broadcasts Ltd, participated in the launching of its pay-TV channel, “The Galaxy”. Ms Tsui’s main area of responsibility was recruiting and training of news anchors. 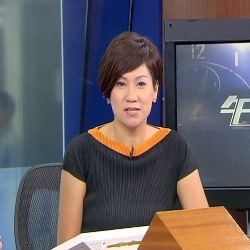 Ms Tsui was among the first batch of news anchors in the first pay TV in Hong Kong. 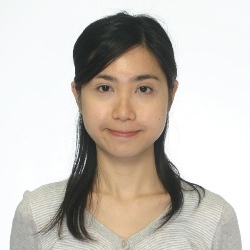 Candy Chan has undergraduate degree from the University of Hong Kong (BA. 2006) and a Master's degree from Boston University (MSJ, 2008). Having determined to be a reporter since 10, she has worked /interned in various publications, both in newspaper, wires, radio, magazine and TV, including TVB, Mingpao Daily, Reuters in Hong Kong, Patriot Ledger newspaper in Boston, Hayes FM Radio Station in London, CCTV in Beijing and German magazine Stern in Shanghai. 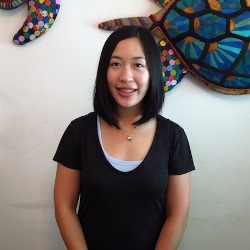 Esther Wong has a deep-rooted passion for the environment, and has previously worked as a public education specialist at an aquarium, a climate change policy researcher at a local university, and even an educational game developer at an earthquake research center. Now, as an editor of Ecozine.com, she writes about all environment-related topics in areas such as business, world issues, style, travel, and more. She is also project executive for the Hong Kong Cleanup, a year-long education platform that culminates each fall in a cleanup challenge, inviting community members to clean our beautiful coastlines, country parks, urban areas, offices, homes and schools. She recently went on an Antarctic environmental exploration expedition.